Today's random image - join the HTST from the Doncaster Rovers home programme. FA Trophy January 2003. Is Roberts a first choice at Birmingham nowadays, career stalled a little but maybe at his optimum level. Tends to have been sub this season whereas Matty Pearson is solid in Luton first 11. Not bad though when we have ex players in all top 3 divisions holding their own. How low have we sunk? Accrington showed what can be achieved last night. Solid side with a sprinkling of very talented players & a game plan that works to their strengths, Smyth pulled Sunderland's defence all over the pitch making room for others, the role Kosylo should be playing IMHO. 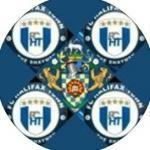 More like how far have they risen having been given a chance / second chance by FCHT. Will Grigg looked expensive at 4m. So whats gone wrong Mr.c? 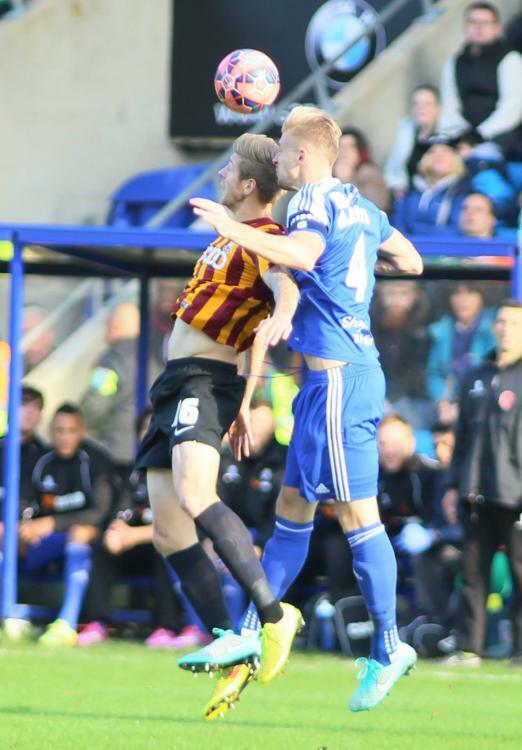 Don´t think it was really a 2nd chance for Marc as he was steadily moving up the football pyramid, FC Wakefield-Worksop-Buxton-FCHalifax-Barnsley-Birmingham.Thats when our scouts used to do their job. 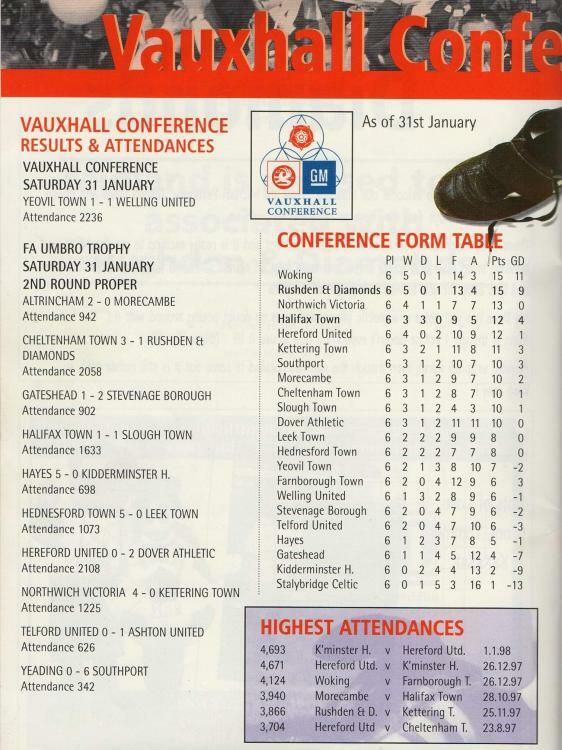 But Accrington are Massive compared to us. Indeed that's why I said given a chance / second chance. Thats when our scouts used to do their job. Really?.......you're saying we actually had scouts......ah now l remember! Is that bearded gentleman David Staniforth ? Is that a young Dave Beasant in goal? I've zoomed the picture in and it certainly looks like him! 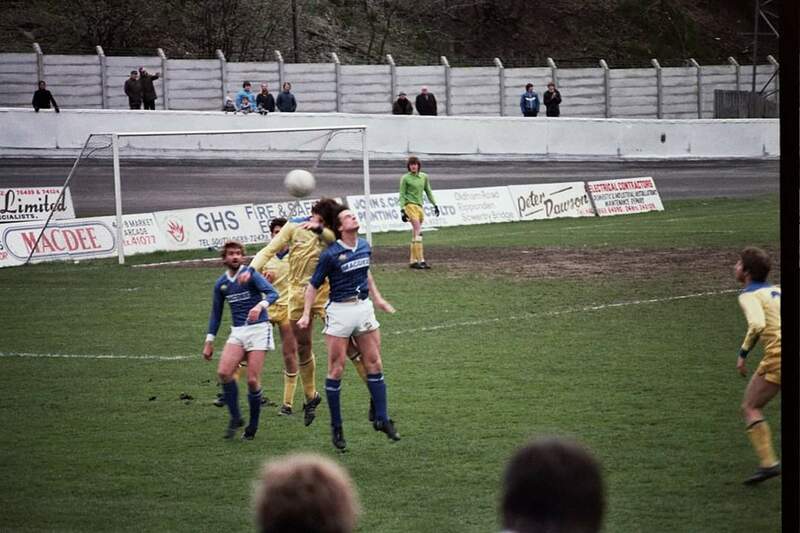 Yes Town's Dave Staniforth & Wimbledon's Dave Beasant. We reached the heady heights of 11th that season & would have been in contention for the play-offs under the new system.